The World Center for Studies and Research of The Green Book in Tripoli, Libya, with branches in Sabha, Sirt, Bengazi and AlBayda was destroyed and ruined in year 2011. Now is being restored here, in the Internet space. Please read The Green Book in European languages and in CIS languages at separate sites. 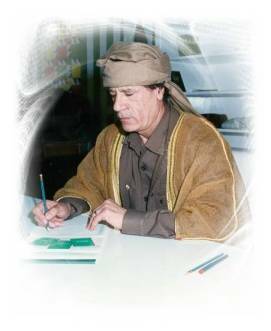 The Leader's other works in several languages - at AlGaddafi.org. The original Arab language Green Book is here.